Sea level rise is already happening, and it is projected to accelerate in the future, causing the retreat of sandy shorelines and the loss of valuable coastal areas. 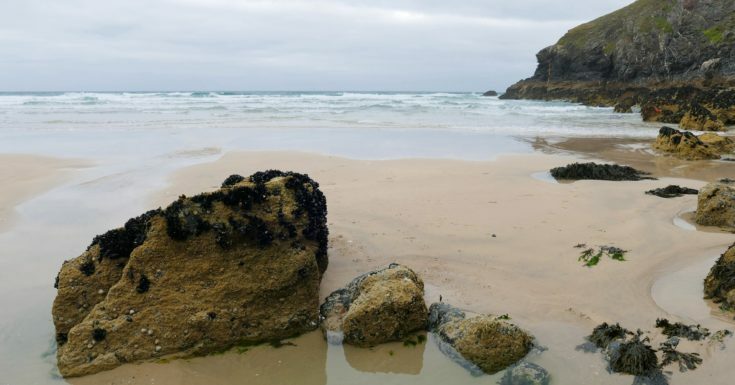 Until now, land loss estimates at the European scale ignored both the spatial distribution of presence of sandy coasts and the natural variability of the coastal slope. New insights by Deltares will be presented at the EGU General Assembly in Vienna this week. Panos Athanasiou (Deltares / University of Twente) investigated the effect that the location of sandy coasts has on these estimates by considering two existing data sets (EUROSION and the Shoreline monitor), where the latter was produced by Deltares using satellite data and machine learning techniques. 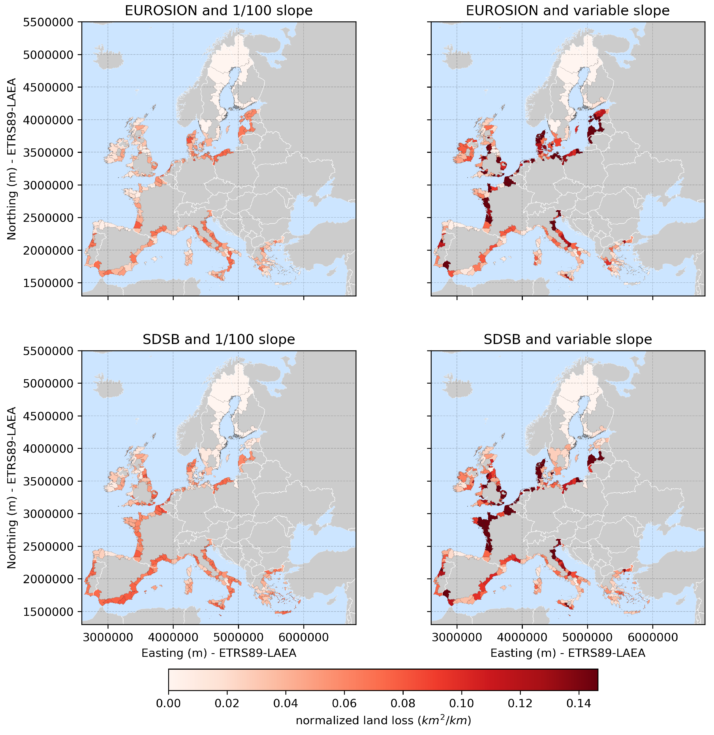 He also derived a new dataset of the variation of the slope along the European coast and compared the land loss results with the case of using a constant slope for the whole of Europe. He used projections of sea level rise, obtained from the Joint Research Center of the European Commission. The analysis shows that until 2050 the estimates of land loss are most sensitive to the choice of a variable versus a constant slope, followed by the choice of which sandy shoreline data set to use. The uncertainty in the sea level rise scenario only dominates towards the end of the century. Therefore, in order to plan for shoreline recession and land loss in the coming decades it is important to obtain and use information about the location of erodible sandy coast and about the local coastal slope. Normalized land loss predictions per region for 2100 and the RCP8.5 climate mitigation scenario. Each map represents an assessment with a specific combination of geophysical data. This research was done by Panos Athanasiou, as part of his PhD Thesis. Other Deltares experts involved are: Ap van Dongeren, Alessio Giardino, Jaap Kwadijk and Rosh Ranasinghe. Michalis Vousdoukas was involved from the Joint Research Center (JRC) of the European Commission. This project (EUCP) is financed by the European Commission through the Horizon 2020 Programme for Research & Innovation.